Free MP3 Converter is a fast, straightforward yet FREE MP3 Converter which converts WAV, MP3, WMA and OGG to MP3 format. Free MP3 Converter Free Download - we do not host any Free MP3 Converter torrent files or links of Free MP3 Converter on rapidshare.com, depositfiles.com, megaupload.com etc. All Free MP3 Converter download links are direct Free MP3 Converter download from publisher site or their selected mirrors. 7.6.1 Jul 9, 2017 Major Update Fixed some compatible issues with Windows 10 and 8.1.Ended support for Windows Vista and XP. Uptodate encoder libogg 1.3.2, libvorbis 1.3.5. Many other unspecified minor code tweaks, UI improvements and bug fixes. 7.6.0 Apr 29, 2012 Major Update This version includes unspecified bug fixes and interface enhancements. 7.5.9 Mar 10, 2012 Major Update This version includes unspecified bug fixes and interface enhancements. The easiest way to record, edit and enhance your sounds! Wave Editor is a fast and easy digital audio editing software for Windows. You can edit your MP3 files with non-destructive cut, copy and paste. 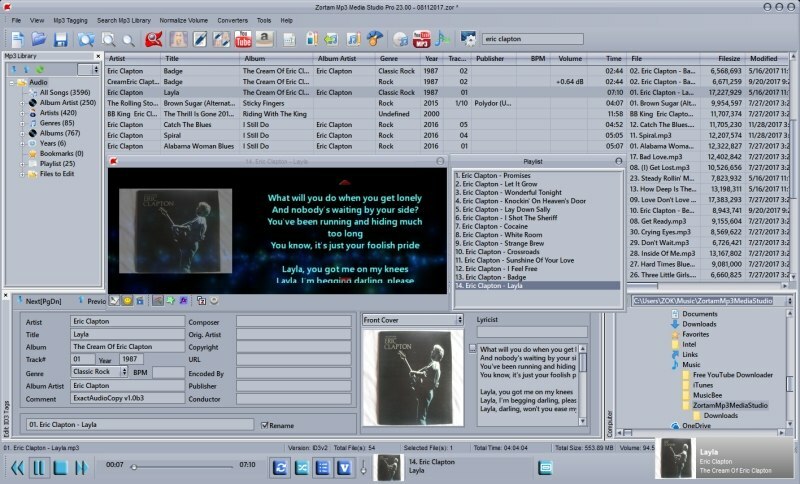 Free Convert, Rip, Cut, Merge, Record MP3 All-in-One. Tablature editor software for guitar, bass, and other fretted instruments. Cut MP3 and Popular Audio & Video Formats Easily and Fast. Easy Video Maker, Free to edit, create, make videos and movies.